A pure, straightforward graphic quality – part of the company’s philosophy – has been the source of inspiration for the project. 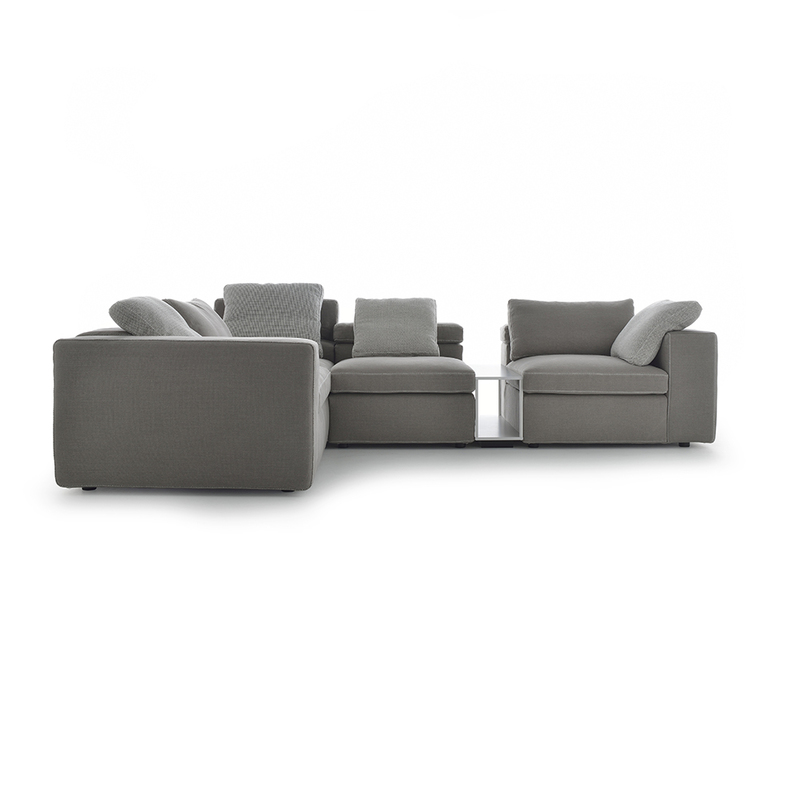 With no daring pursuit at any cost, this modular system mixing upholstered and rigid elements, can be incorporated into any setting, from home to community areas. 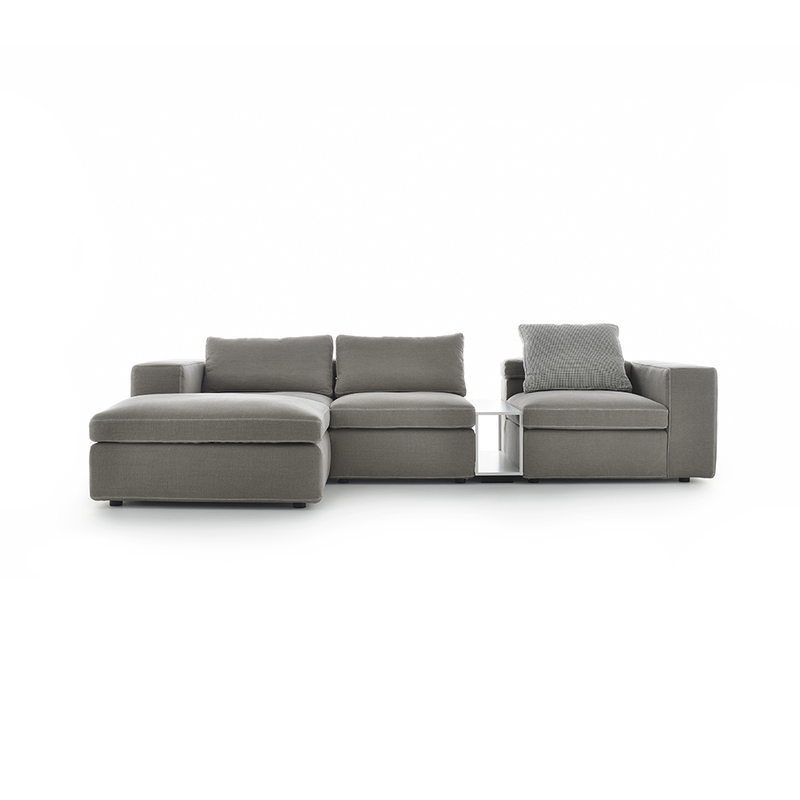 The collection is made up of eight elements that together with three complementary coffee tables allows endless solutions to be developed in accordance to the free, creative interpretation of the customer. 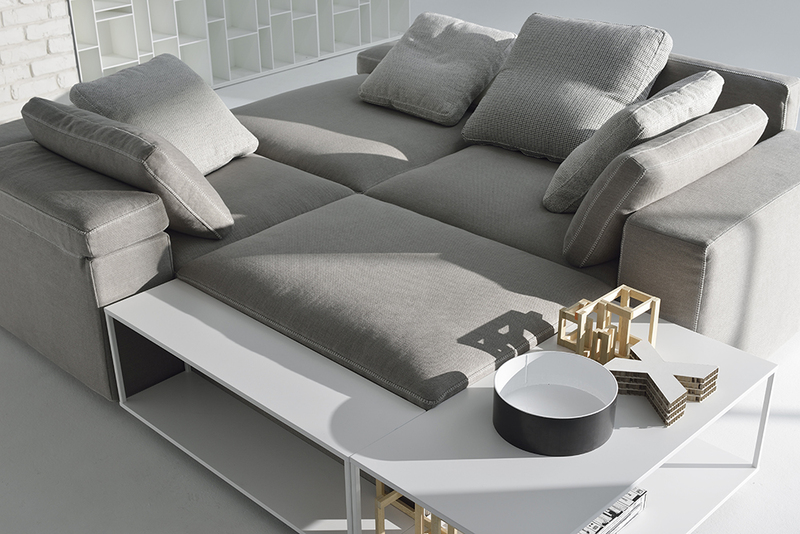 Simple and flexible, spontaneous and timeless, dynamic and continuously evolving, Grafo sectional is fully able to change its form to meet the needs, moods and demands of each moment. W 39.4" x D 9.8" x H 15.7"
W 39.4" x D 19.7" x H 15.7"
W 39.4" x D 39.4" x H 15.7"